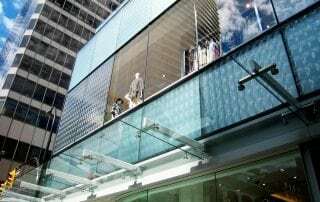 Holt Renfrew Convex Squares Architectural Glass Cladding Glass Façade. The project; the conversion of a dated concrete cladding, into a beautiful Architectural Glass Façade. 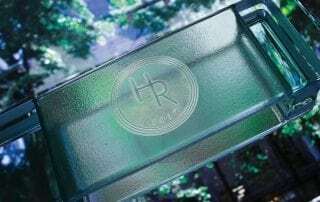 As such, our Architectural Glass Cladding Glass Façade transformed Holt Renfrew’s public face into something extravagant. 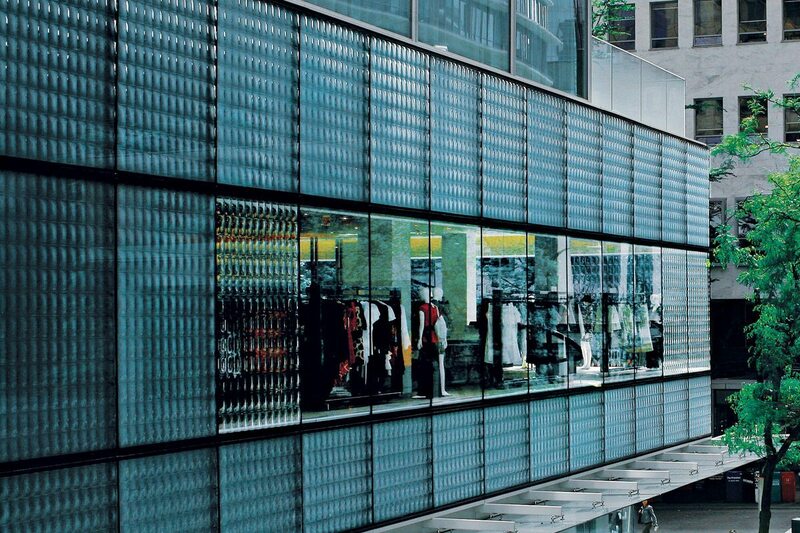 Likewise, our brilliant Glass Façade is more befitting to high-end shopping. Collaborating with Front Inc and Janson Goldstein NYC, the plan was to create something completely new and unique. 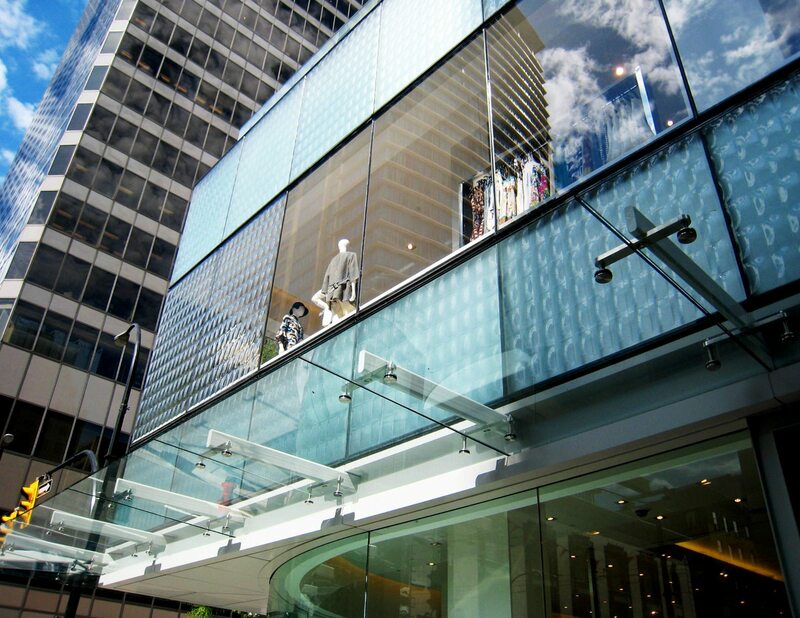 As such, Nathan Allan designed and created Convex Squares Architectural Glass Cladding Glass Façade to achieve our goal. 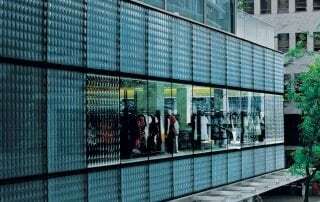 Thus, the result is a stunning glass Architectural Glass Cladding Glass Façade that commands the attention of all patrons. 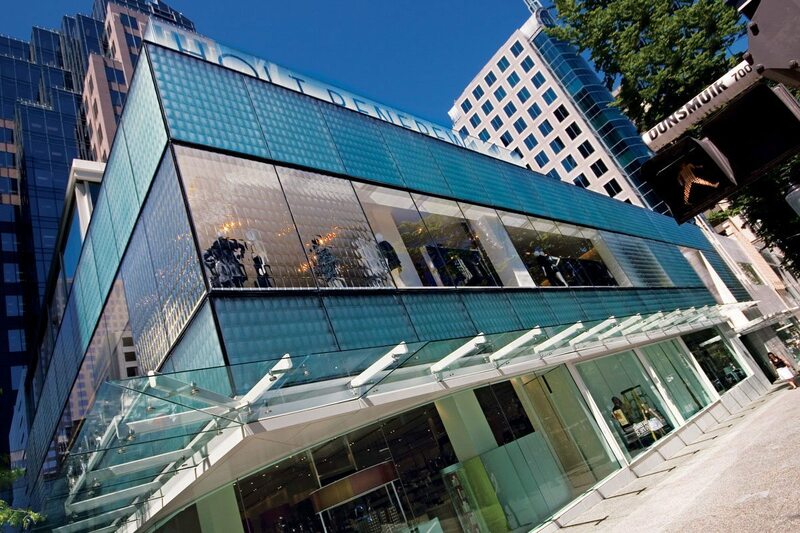 The creation of our Convex Squares Architectural Glass Cladding Glass Façade was a fully collaborative process. 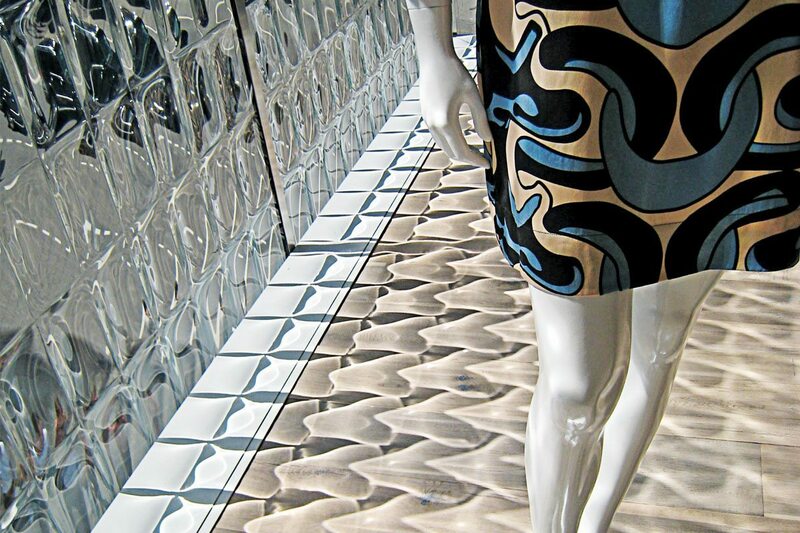 Accordingly, the goal was to create a 3Dimensional glass design with a deep protruding surface. 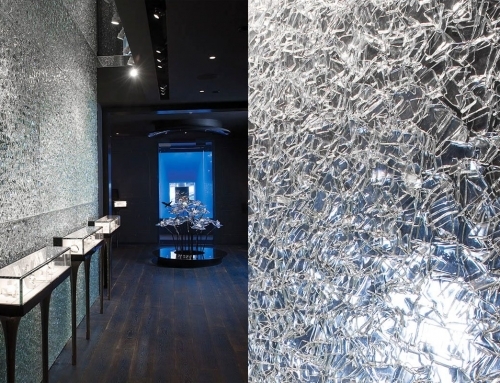 For this reason, Nathan Allan invented a new process in glass casting called Freeforming. 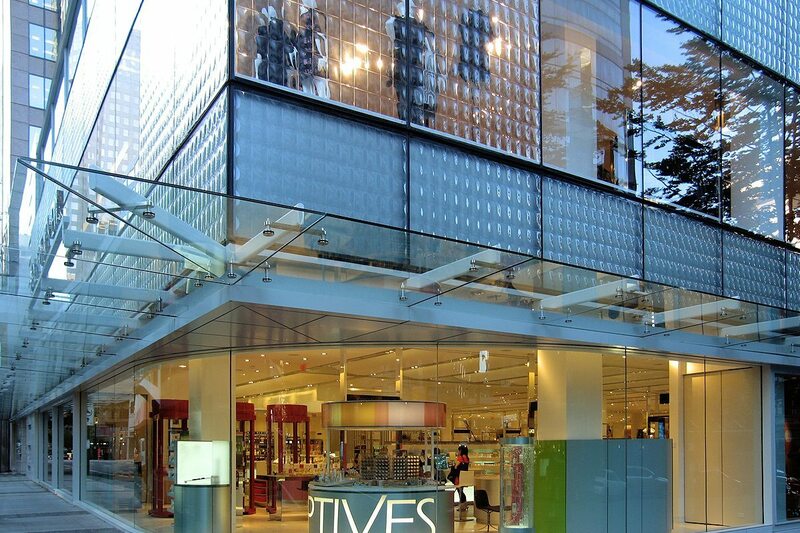 As a result of this process, our Convex Squares Architectural Glass Cladding Glass Façade was created. 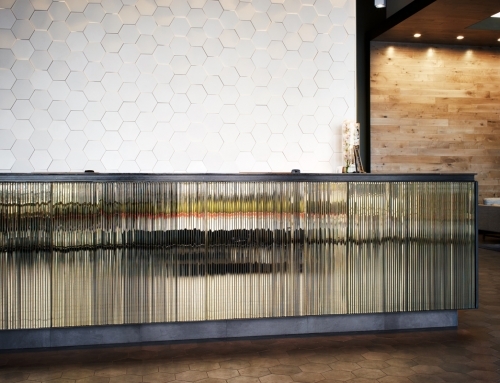 The glass pattern incorporates 6” x 6” Cells. 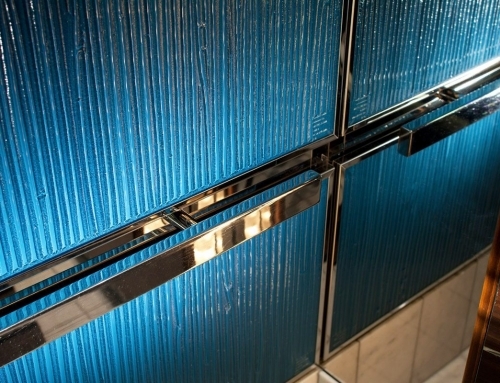 In addition, there is also our exclusive “Firefrost” privacy finish. This Firefrost finish is sealed. 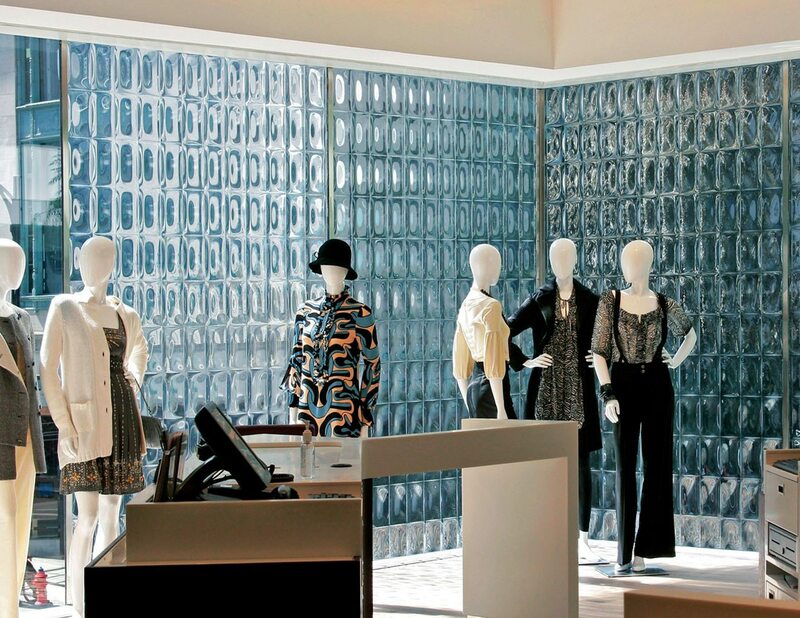 From the exterior, onlookers are treated to a radiant wall of dynamic glass panels. 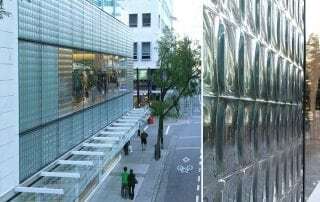 Nathan Allan’s Convex Squares Architectural Glass Cladding Glass Façade glass brings design and brightness to a once dull concrete façade. 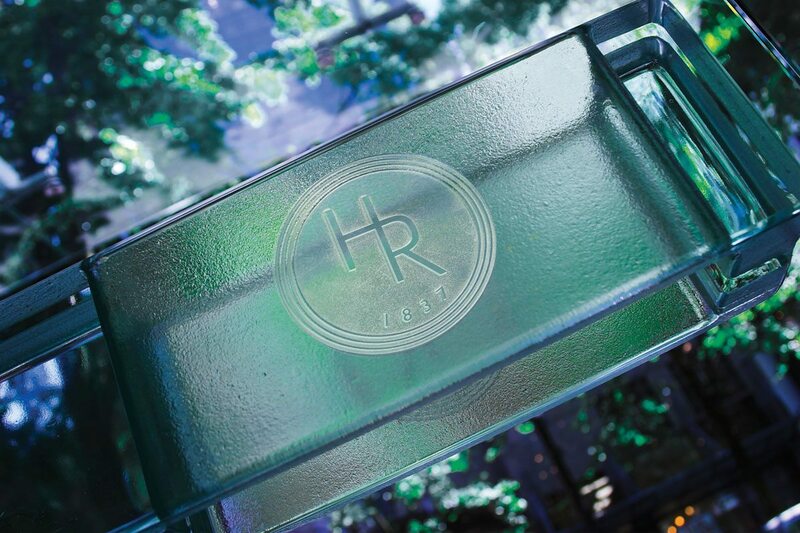 From within, Holt Renfrew’s displays are well-lit in front of a luminous, glittering glass facade. Therefore, the distortion of light creates playful shapes on the street outside. 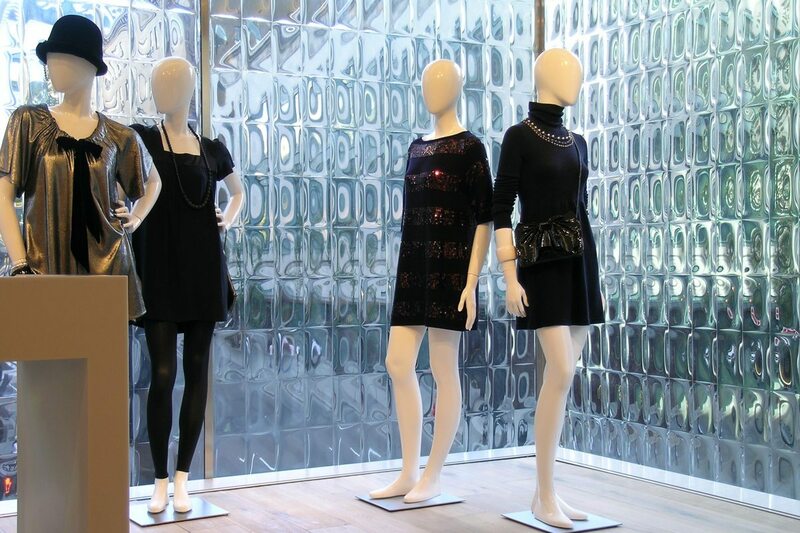 Dual panels of 1/2″ (12mm) Low Iron tempered safety glass are used. Various size panels were required, the largest panels at 6’6 wide x 11’6 high (1981mm x 3505mm). The largest panels are used for the public displays, therefore a clear vision glass is used. Smaller panels are fire frosted to block the old concrete skin of the building. 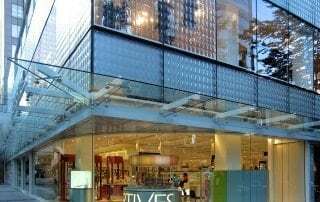 For this Architectural Glass Cladding Glass Façade, all panels are laminated with a waterproof interlayer. 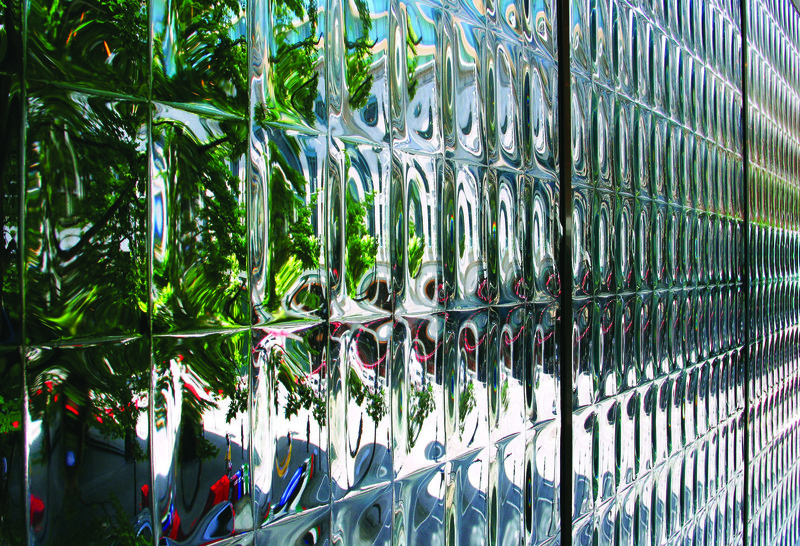 Also this Convex Glass Façade was also tested for seismic and hurricane force conditions. 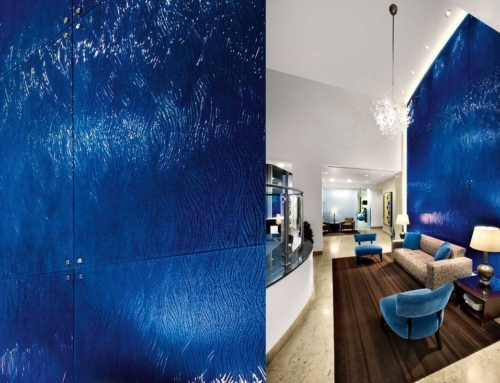 The visual intent was to create a frameless appearance, without any metal grids. 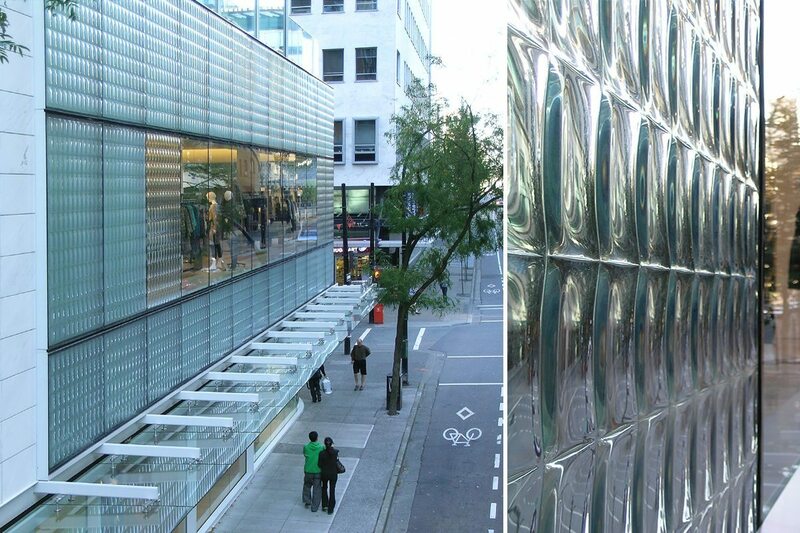 As a result, our Architectural Glass Cladding Glass Façade panels are installed on Stainless Steel flanges. Thus moldings or stops are not used in this installation. Rather, a structural, invisible silicone is used. 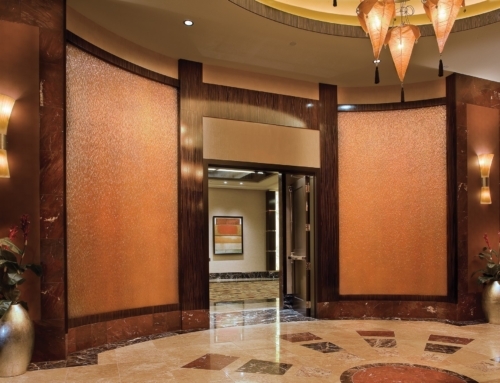 The silicone prevents the panels from falling, while also maintaining the frameless appearance.